Arrow: The Complete Sixth Season Shoots onto Blu-ray & DVD on 8/14! Warner Brothers Home Entertainment has announced the date and released artwork for Arrow: The Complete Sixth Season starring Stephen Amell. Click on the link below or image to the left to check out the features and artwork. 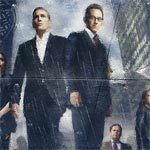 “Person of Interest”: The Fifth and Final Season may have benefited from a few more episodes, if not a full season order, but considering we got 13 episodes is nice as it gave the writers a chance to wrap things up. The fourth season “Person of Interest” is another solid year for the series expanding the world and adding the new element in another machine, an adversary that makes the gang’s lives far more difficult and harder to help those in need. The performances all around are quite good and I only wonder where they go from here going into a 13-episode fifth season which, unless ratings improve, might be the series’ last. “Person of Interest”: The Complete Third Season is another good, even great, run for the Jonathan Nolan-created series. The acting is nearly top-notched but most of all, the stories are captivating and fresh, trying new things and presenting different antagonists (this year an organization named “Vigilance”) to challenge our heroes. 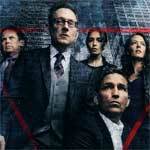 “Person of Interest”: The Complete Second Season continues its upward trajectory from its inaugural season. The storylines are richer and more connected; the new supporting characters are great additions with two getting recurring main roles next year. The Blu-ray released by Warner Home Video offers solid video/audio transfers while the features are limited but what’s there isn’t half bad. 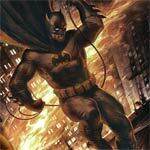 Batman: The Dark Knight Returns, Part 2 is easily on par with Chris Nolan’s amazing live action movies with great action, some good drama with the aging Bruce Wayne and an epic fight sequence between Batman and Superman, including some nice little zingers they throw back and forth. The Blu-ray is standard affair as far as Warner releases go with an OK selection of features and above average audio/video transfers.